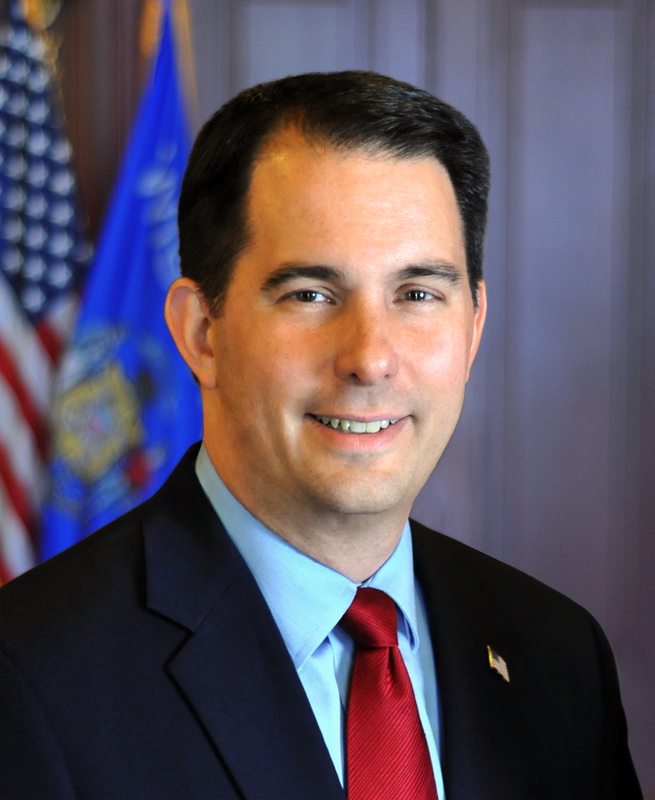 “It is important that we support our veterans and remember their sacrifices every day"
Governor Scott Walker today announced $250,000 in grants to be presented to 11 non-profit organizations across the state that provide financial assistance or other services to Wisconsin veterans and their families. The grants are administered by the Wisconsin Department of Veterans Affairs (WDVA). The Nonprofit Grant program passed through the legislature and was signed into law by Governor Walker on April 6, 2014. A maximum total of $250,000 in grants up to $25,000 were available per registered 501(c)(3) non-profits during July 1, 2017-June 30, 2018. Applications were evaluated on a number of criteria by members of the Wisconsin Board of Veterans Affairs. Artists for the Humanities, Appleton: $25,000 to continue providing a cost-free environment for military veterans suffering from Post Traumatic Stress Disorder (PTSD) and trauma. The grant will assist in expanding the organization’s group sessions, allowing it to reach more veterans who can benefit from the program in its numerous locations across Wisconsin. Fox Valley Veterans Council, Inc., Appleton: $25,000 to support programs for veteran students such as a unique book and tool loan program. The organization ensures Wisconsin veterans receive temporary financial assistance for their basic needs amid any setbacks. La Crosse Area Family YMCA, La Crosse: $10,000 to help fund the Wellness Warriors program that works with veterans and their families in learning physical activities which can relieve stress and anxiety. La Crosse Area Veterans Mentor Program, Inc., La Crosse: $25,000 to work with disabled veterans to help them become engaged in activities with other veterans such as sled hockey, adaptive soccer, kayaking and more. Latino Veterans Legacy of Valor Foundation, Inc., Milwaukee: $25,000 to support the organization’s programs for Latino veterans and their families, as well as to help establish a permanent tribute to Latino veterans. Milwaukee Homeless Veterans Initiative, West Allis: $25,000 to serve homeless and at-risk veterans by providing furniture, household goods, food, clothing and much more. The Highground Veterans Memorial Park, Neillsville: $25,000 to properly and securely display veteran artifacts and tell their stories in the museum at the 155-acre memorial park. Trinity Equestrian Center, Eau Claire: $25,000 to fund equine-assisted therapy, which helps veterans suffering from disorders such as PTSD, traumatic brain injury and other service-related injuries. USO Wisconsin, Inc., Milwaukee: $25,000 to help the organization continue its expansion across the state, including its events and programs that enhance the quality of life of military members and their families. UW Superior Foundation, Inc., Superior: $25,000 to continue providing full programming for veterans and their families such as an annual veterans’ expo on the UW-Superior campus and a leadership program. Veterans Ceremony – Union Grove Cemetery, Inc., Rhinelander: $15,000 dedicated to efforts at the cemetery to honor veterans through a ceremony and monument. Chickenhawk imposters like Big Government moocher/Career Politician Scott Walker and 5 deferments for “flat feet” Trump don’t know a damn thing about supporting our veterans! If they did they wouldn’t consistentky ignore the VFW or American Legion! Walker and Trump ignore veterans needs and concerns and instead just use them as a political fodder. Enough republicans! Our veterans deserve respect!